R.I.P. 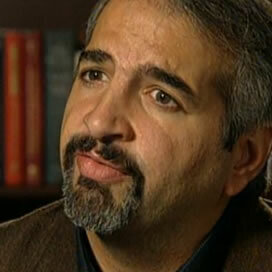 Anthony Shadid who died recently on assignment in Syria. Pulitzer Prize winner and “New York Times” Foreign Correspondent talks to TGD about this very small but extraordinarily wealthy country’s increasing influence in the Middle East. Anthony Shadidis a foreign correspondent for the New York Times. Until December 2009, he served as the Baghdad bureau chief of the Washington Post. Over a 15-year career, he has reported from most countries in the Middle East. Shadid won the Pulitzer Prize for International Reporting in 2004 for his coverage of the U.S. invasion of Iraq and the occupation that followed. He won the Pulitzer Prize again in 2010 for his coverage of Iraq as the United States began its withdrawal. In 2007, he was a finalist for the Pulitzer Prize for his coverage of Lebanon. He has also received the American Society of Newspaper Editors’ award for deadline writing (2004), the Overseas Press Club’s Hal Boyle Award for best newspaper or wire service reporting from abroad (2004) and the George Polk Award for foreign reporting (2003). 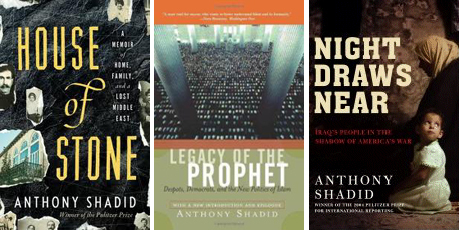 Shadid is the author of two books, Legacy of the Prophet: Despots, Democrats and the New Politics of Islam, published by Westview Press in December 2000. His second book, Night Draws Near: Iraq’s People in the Shadow of America’s War, was published in September 2005 by Henry Holt. His third book House of Stone: A Memoir of Home, Family, and a Lost Middle East is due to be published on 27 March 2012. I wouldn’t really call it empire building, Qatar is defining where its pragmatic interests lie, and maybe there has been a bit of over-reach as well. At the heart of Qatar’s new policy there is a certain amount of ambiguity, evidenced by the fact that they are able to develop relations with parties that do not have similar interests, like Iran, the United States and Saudi Arabia to varying degrees. Qatar is clearly playing a more decisive role and is being more aggressive in promoting its interests. The difference may be that Qatar is now taking sides rather than maintaining its ambiguity in foreign relations. I think we are seeing a new stage in Qatar’s foreign policy. It is certainly a more aggressive approach but it is motivated by where Qatar’s interests will lie in the future. There is a pragmatism at the heart of this agenda. What is Qatar’s agenda exactly? Qatar is reacting to the fact that the traditional heavy-weights in the Middle East – namely Egypt and Saudi Arabia – are not playing their customary roles. There is a political void in the region that both Qatar and Turkey to some extent have stepped into. Qatar is trying to increase its influence by cultivating relations with the Muslim Brotherhood throughout North Africa. By doing this Qatar is hoping to guarantee its presence and influence in the region in the future. Given the recent regional unrest, Qatar is trying to get ahead of the curve. Just looking at their foreign policy, they have interfered politically in Libya and Tunisia and to some extent Syria. They are financing the En Nahda party in Tunisia. What are Qatar’s intentions in Tunisia? Is it politics or business? In Libya and Tunisia, Qatar has sided with the forces for change, the revolutionary forces; they very clearly took sides there. If you talk about the broader region including Morocco and Egypt, both Qatar and Turkey have tried to ally themselves with what would be termed the mainstream Islamist parties, the En Nahda party in Tunisia and the Freedom and Justice Party in Morocco. So they are steering clear of the more hard line Salafists? Yes, you have to keep in mind that Qatar is differentiating itself in terms of policy from Saudi Arabia, which would be more inclined to support the Salafists. This divergence is an important point. There is still a lack of clarity about who the Salafists are and what they want, but they would be more inclined to lean towards the Saudis. It has always been interesting to see how the Saudis and the Qataris have interacted with the Muslim Brotherhood. At times, the Saudis feel threatened by the Muslim Brotherhood, at times they see them as being ungrateful. Consequently they see the Salafists as a counterweight to the Brotherhood. Qatar and Turkey have been very clear though, in choosing to develop closer ties with the Muslim Brotherhood throughout the region. What did Qatar do in Libya exactly? Did they just send money or – as some have rumoured – did they send in their special forces troops too? That was no rumour, there were Qatari military advisors on the ground in Libya. There were also the hundreds of millions of dollars that they sent in to support the rebels. There were frequent flights from Doha to Benghazi and there was a Libyan opposition television station set up in Doha too. Clearly Al Jazeera, which has aligned itself more and more with Qatar’s foreign policy, was brought into action as well – clearly an attempt to push the Libyan situation to a conclusion. Why they chose to do this, is still open to speculation. Some people are suggesting that the Emir’s wife, Sheikha Mozah, had personal family connections in Libya which was defining the Qatari agenda but others maintain that gaining access to the resources in Libya was what prompted Qatar to step into the political void created by the unrest. Critics of Qatar often cite the Libyan and Syrian examples of the country over-reaching which could lead to serious repercussions in the future. It sounds like a mixed agenda – on the one hand pushing the Arab Spring via Al Jazeera and then making deals with Islamist parties. Is there an Islamist agenda, or is this just realpolitik? There are a lot of questions about this. Many people say that the Emir has a nationalist/Islamist perspective on the region and that Qatar has a desire to play an outsize role despite its very small size as a country. I may be wrong on this but I think it is realpolitik; it is pragmatism that is leading Qatar to ally itself with those forces which look like they will come out on top in the long term. In the short term it looks as if they have chosen their allies correctly, given the election results and polls coming out of North Africa. It seems contradictory to support the uprising in Tunisia and help crack down on it in Bahrain. Is this a Sunni-Shi’a story here or just national interests? This is an interesting point. If you look at Al Jazeera’s coverage, the way it covered Bahrain was very different from the more aggressive stance it took in Tunisia and Libya. Al Jazeera was actively promoting an uprising in Libya but in Bahrain there was a remarkable lack of coverage of events. There is a sectarian element in Bahrain, the fact that the uprising was predominantly a Shi’ite affair and then there was the possible involvement of Iran too. 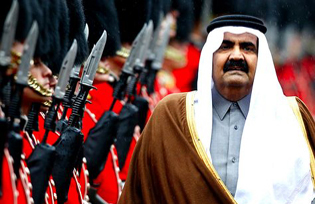 Qatar is playing GCC (Gulf Cooperation Council) politics closer to home in Bahrain. They were not willing to provoke the Saudis over the Bahrain issue, it was not worth the risk for them. Again here is the pragmatism of Qatar’s policy, they could not see the political upside in Bahrain. The Emir, Sheik Hamad bin Khalifa al-Thani and Hamad bin Jassim bin Jabr al-Thani, the influential prime minister, are leading the charge. Is this new agenda being pushed by the Emir or is it a collective governmental push? The Emir is in charge. There is no question about that. The Emir is the pivotal player, the Prime Minister has a lot of experience and a lot of contacts, but the Emir makes the decisions about how far to go in terms of policy. What is happening at Al Jazeera? How do you read the resignation of Wadah Khanfar and his replacement by a member of the ruling family, Sheikh Ahmed bin Jassim Al Thani? I wouldn’t read too much into the resignation of Wadah Khanfar. I think it was more of a question of just getting Al Jazeera in line with Qatar’s foreign policy. The Qataris play so many games with the Americans that the Wikileaks exposure that some people say led to his departure would have been irrelevant. That said, some do say that the Qataris were courting the Saudis, Jordanians and the Kuwaitis by pushing Khanfar out. Is Al Jazeera running the risk of losing its credibility and objectivity if it is increasingly becoming a political tool? There is a risk of that, but Al Jazeera will continue to be an unrivalled force in the Arab world as the events in Tunisia proved. Al Jazeera was pushing for Ben Ali to be deposed but its coverage became more selective after Tunisia, with the coverage of Syria and Bahrain particularly. Al Jazeera’s coverage of events in Syria shifted in line with Qatar’s Syrian foreign policy. However, I think that the effect that these political shifts will have on what is the Middle East’s premier media institution will not be all that great. Qatar hosts an American air base. Does the US have significant influence in Qatar? US influence in Qatar is not as great as it is in, say, Saudi Arabia or Bahrain, but clearly they do have influence and the Qataris want to be a friend to the US rather than its enemy. There have been some tensions in the US-Qatari relationship in the past, but from what I understand relations are better now than they have ever been. The simmering tension that has existed over the last ten years is easing off. There has been a historical rivalry between Qatar and Saudi Arabia. Is this a friendly rivalry or is there something more ominous at work? This is a key rivalry that goes a long way to explaining some of the choices that Qatar is making. The Qatar-Saudi rivalry should not be underestimated – it is the cornerstone – they feel more threatened by Saudi Arabia than they do their other neighbours, and I include Iran. It is always a good idea to see what moves the Saudis are making when trying to interpret Qatari policy. On a lighter note, I think they take a little bit of pleasure in irritating the Saudis. On a superficial level, however, relations are better than they have been for a long time though. 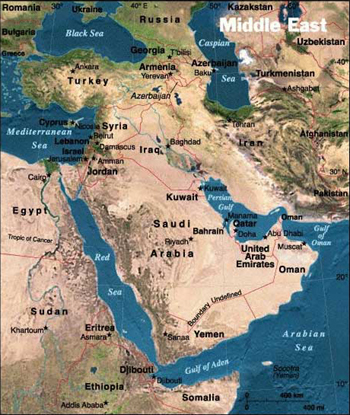 Relations in the Middle East have been dominated by a struggle for dominance between Turkey and Iran. Where does Qatar place itself in this struggle? I wouldn’t say that Turkey and Iran are actively seeking to dominate the region but clearly the regional balance of power is shifting. The American order that we had in the Middle East for a generation is crumbling. There is a pronounced sense of an American decline in the region although some do still disagree as to whether or not this decline is actually taking place. What is clear is that the traditional players are no longer calling the shots – Egypt is a perfect example of this as it is in the throes of an unfinished revolution. Qatar and Turkey are certainly filling some of this political void and new alliances are being forged, but the key thing is that these two countries are trying to get ahead of the change proactively. The country to watch will be Egypt. I was speaking to the Turkish Foreign Minister a few months ago and he was talking in terms of a new Turkish-Egyptian axis between their two democratic Islamic countries. It is unclear how much the Egyptians will want to be a part of that, but it is interesting that the Turks are thinking along these new strategic lines. It will also be important to see how the new political parties in North Africa develop and whether or not they develop into a regional bloc. We might see a revolutionary Islamist bloc that we have not seen in the Arab world for some time.